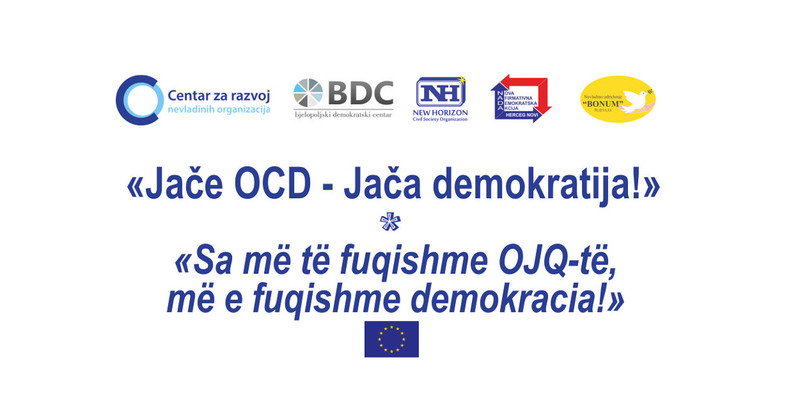 In the premises of our organization, a presentation of the project “Stronger CSOs- Stronger Democracy!” ,implemented by the Center for the Development of Non-Governmental Organizations (CRNVO) in partnership with NGO “Bonum” (Pljevlja), “Bjelopoljski demokratski centar” (Bijelo Polje), “Nada” (Herceg Novi) and “Novi Horizont” (Ulcinj), was held. The project is financially supported by the European Union and managed by the Delegation of the European Union to Montenegro. Within this project, the Local Resource Center (LRC) in Ulcinj was created, as a new service of NGO “Novi Horizont (NH)”. For 17 years of its active work, NH has built a recognizable image of a successful CSO in the local community. NH is working to increase citizen participation in local processes and wider, thus contributing to the development of democracy and the promotion of good governance. 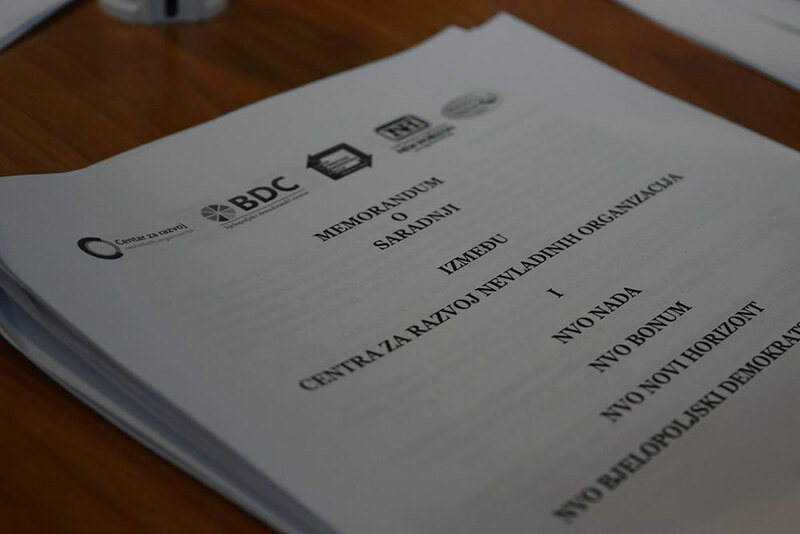 The task of local resource centers, by signing a Memorandum of Cooperation, is to provide services to local non-governmental organizations and interested individuals in the field of legal and financial consulting, project writing, as well as any other topics that are important for the development of the NGO sector in their region. Within the CRNVO resource center in Ulcinj, there is also a library for NGOs that has professional literature, newsletters, handbooks and other publications from the country and region. During August and September, in coordination with CRNVO, this resource center conducted a survey on the incentive framework for NGO action at the local level. In the forthcoming period, the Local Resource Center in Ulcinj will conduct advocacy campaigns aimed at improving the legal and institutional framework for NGO action at the local level. In cooperation with CRNVO in the future, the LRC will organize trainings, thematic schools, round tables, forums and other meetings aimed at strengthening the capacities of NGOs. In addition to presenting the local resource center, the work of the National TACSO Resource Center, as well as the current CRNVO projects and plans related to the strengthening of local communities was presented. Nazif Velic– the coordinator of the Local Resource Center NGO Novi Horizont.